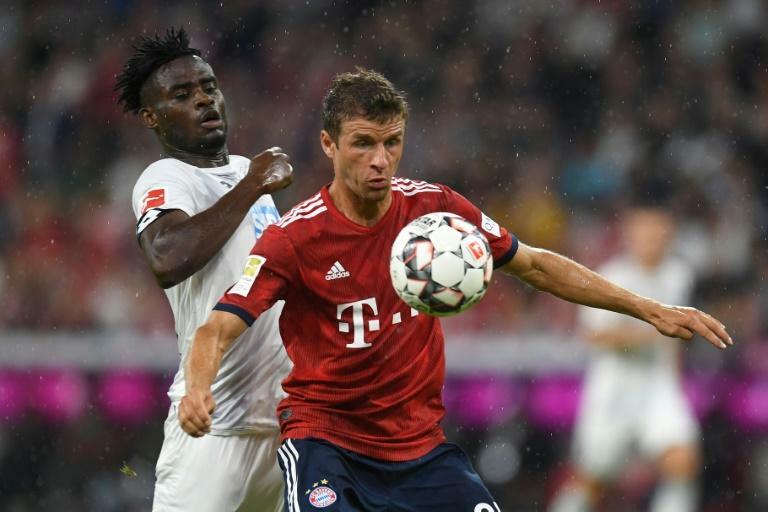 Reigning champions Bayern Munich started the new German League season with a 3-1 win over Hoffenheim, while Borussia Dortmund floored RB Leipzig to post the biggest win of the opening weekend. New signing Axel Witsel keeps scoring for Dortmund, while Bayern winger Kingsley Coman suffered more injury heart-break. 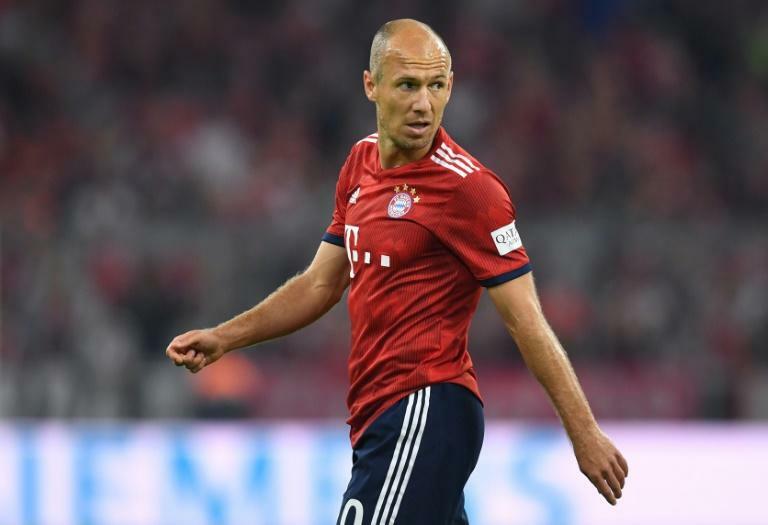 Veteran substitute Arjen Robben, 34, scored his 96th Bundesliga goal in 190 games at the start of his tenth season with Bayern, who kicked off their bid for a seventh straight league title in the win over Hoffenheim. Together with his 62 assists in Germany's top flight, Robben has had a direct hand in a goal every 82 minutes he's played in the Bundesliga. Only Lionel Messi (61 mins) and Cristiano Ronaldo (74 mins) have a better ratio, in their respective leagues, and the fleet-footed Dutchman is streets ahead of Premier League stars Eden Hazard (120 mins) and Kevin de Bruyne (142 mins). Axel Witsel was signed by Borussia Dortmund from Tianjin Quanjian to beef up the midfield, but the Belgium international is providing goals, including a spectacular bicycle kick to score in the 4-1 win over RB Leipzig. After coming off the bench to score in Monday's 2-1 comeback win at Greuther Fuerth in the German Cup last Monday, Witsel netted with an athletic leap against Leipzig on Sunday for his second goal in as many games. 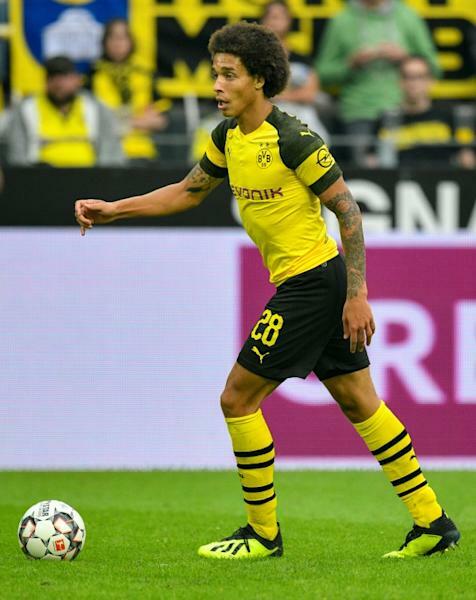 "I don't have a secret," Witsel said after helping Dortmund come from behind in their opening league game. "I just work hard. We have a really talented team, with really young players. "I’m one of the older ones at 29, I just try to bring my experience." After a poor World Cup, Thomas Mueller rediscovered his form by scoring the first goal of the new Bundesliga season with a first-half header on Friday, then set up Robben for Bayern's third goal. Mueller seized his opportunity in the Bundesliga limelight and his runs from deep caused havoc amongst the Hoffenheim back four. He covered the most ground of all the Bayern players, 12.09km (7.5mi), and the 12 challenges he won were also a team high. He says Germany's World Cup debacle was all the motivation he needed. "The first few days back home weren't the best of my life," Mueller said. "I took it as huge motivation for the future - to show everyone that Bayern and the national team can do better." Having been sidelined from February until May, Bayern winger Kingsley Coman again tore the same ligaments in his left ankle just 45 minutes into the new season. The tearful 22-year-old was consoled by team-mates before being helped off after being caught late by Hoffenheim defender Nico Schulz. On Sunday, Coman successfully underwent surgery for the second time in 2018 on the same ankle. Having also missed the World Cup win in Russia with France due to February's injury, Coman can again expect to be ruled out for months. Bayern's director of sport Hasan Salihamidzic says the club will "support him all the way". "I'm convinced Kingsley will come back stronger," he added. Borussia Moenchengladbach are a team to watch this season, if Saturday's 2-0 win over Bayer Leverkusen is anything to go by. Although Thorgan Hazard, brother of Chelsea star Eden, had a first-half penalty saved, the home side picked up the three points when Jonas Hoffman slammed home a penalty and US international Fabian Johnson scored one of the goals of the opening weekend. His quick exchange of passes with Brazilian striker Raffael unlocked the Leverkusen defence and gave him a simple tap-in. With club record-signing Alassane Plea, who marked his debut with a hat-trick in the German Cup the week before, to come into the starting line-up, Gladbach have the fire power up front to mount a serious challenge this season in the table.